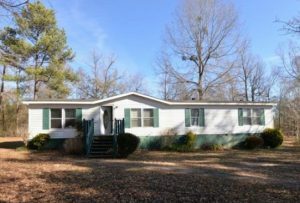 Looking for a great investment that needs some TLC and then will be a great income producer. We’ve had dozens of calls wanting to rent in this area. Home is a manufactured 4 Bedroom, 3 Bath that needs paint, new flooring, some minor roof repairs around a vent possibly and the siding needs to be replaced on the back. It’s priced to sell at #36,750. Call Jennie Kiplinger to make an appointment to see this property. To see more photos.